It's nearly time. You have packed your hospital bag, selected your favourite baby names, purchased your Maxi-Cosi Baby Capsule, and now it’s time to celebrate! Have your friends and family gather together to host a baby shower in your honor, complete with the best baby shower games. Your pregnancy will be a time where you don’t always feel like yourself, but it’s also the perfect time to celebrate you and your soon-to-be newest member of the family. 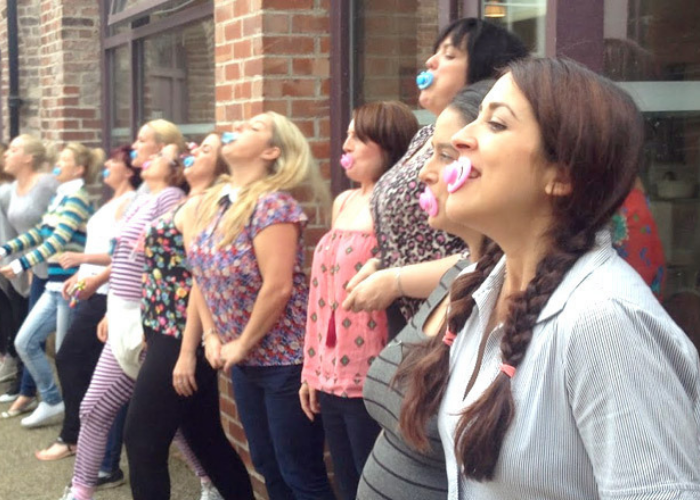 After enjoying good food, and plenty of sweets, make sure you set aside some time to play funny baby shower games. While there is no end to fun games about bringing a child into this world, here are some suggestions. Best Baby Shower Game 1: Baby Guess Who? This fun game involves throwback baby photos of each guest. In the invite, ask each guest to bring a printed photo of herself as a baby. Upon arrival, number each photo and hang them either on a clothesline across the room or lay them out on a table for all to see. Give guests time to view each photo, writing down the number and the person’s name they believe corresponds to the image. Once everyone has had a chance to review all of the adorable photos, go through each photo individually and reveal each person’s guess. You can also do a celebrity version which is fun also. It’s always fun to guess what the baby will look like. Will it look like you? Or your partner? Who knows, but it's fun to see what your friends come up with. 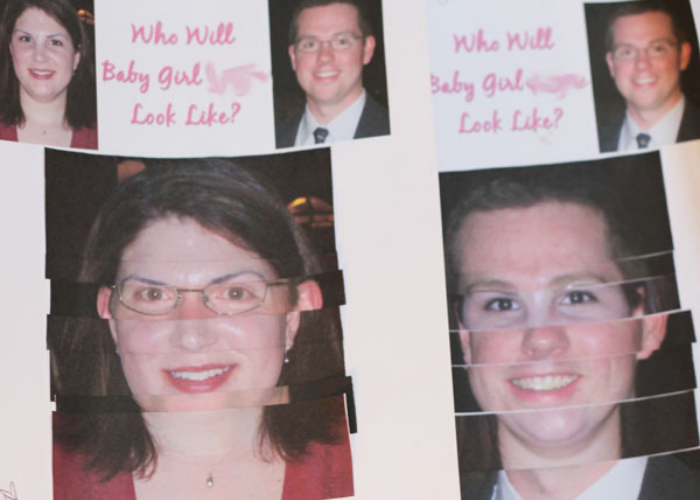 Using old magazines, have guests cut out different features of various models, celebrities, and advertisements, to create the face of your future baby. When the masterpieces are complete you, as the mom-to-be, will decide which likeness you prefer and crown a winner. As a new mum you want to be prepared with stories to sooth your child to sleep. What’s better than having your close friends create stories that you can use over and over again that will always make you smile? Have each person start at the top of the paper, writing the first line of a story (for example: There was once a little pig who lived in the forest). Then have each person pass her paper to the right. Each guest will now read the first line on her paper and continue the story for one more sentence as she sees fit. Once completed, each player will fold over the top of the paper so the very first sentence is covered up and all that can be seen is the sentence that was just written. Now everyone passes her paper to the right again so the next sentence of the story can be written. And, like before, the previous sentence is folded over so only the last sentence can be seen and the paper is passed to the right again. This should continue until the page is full or when everyone has had a chance to write a sentence for each story. Once the stories are complete, take turns reading each story as if it were a child’s bedtime tale. It's hilarious, trust us. This is a great ice-breaker for your baby shower. All guests line up outside, or at the back of a room. Each guest is given a dummy and when the leader says go, each guest spits the dummy. The woman that spits the dummy the furterist, wins. What's your favourite Baby Shower game? Tell us in the comments below. DON'T SAY BABY Required: Pegs or Dummy shaped Lollypops String (If using a lolly dummy tie these to string long enough to put around your neck) A prize if using pegs. As each guest arrives they receive either a peg or lolly dummy (according to what you are using). Through out the baby shower you must not say Baby. If a guest hears someone say baby, they run up and remove the peg/dummy and place this on themselves. Who ever has the most at the end of the baby shower wins. This is a great game to play if you can get hold of Dummy shaped Lollypops as the lollypops become the prize at the end. Baby Guess Who is always fun! !